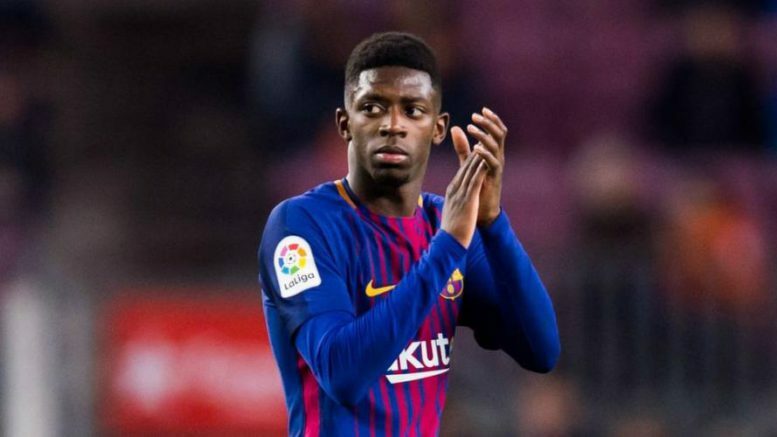 It looks as if Arsenal are seemingly going to have to pull out all the stops if they are to manage to bring Barcelona and France forward Ousmane Dembele to the Emirates. The Gunners are said to be eyeing up a move for the 21-year-old as per the Mirror, and if Don Balon‘s report is anything to go by, the club are going to have to do a fair bit if they want to land the Frenchman’s signature. According to the Spanish news outlet, Dembele has three requirements that a team must fulfil if he’s to join them. These requirements are: the team must guarantee him game time, offer him a bigger wage than the one he’s on at Barca, and have a chance of winning the Champions League. The report also notes that Dembele is set to cost any potential suitors around €100M, a small price to pay for a player of the Frenchman’s potential. Given Arsenal’s financial situation and lack of out-and-out wingers in their side, the north London club shouldn’t have a hard time guaranteeing Dembele his first two requirements. Be the first to comment on "Almost Agreed!!! Arsenal to complete move for €100million Barcelona superstar"